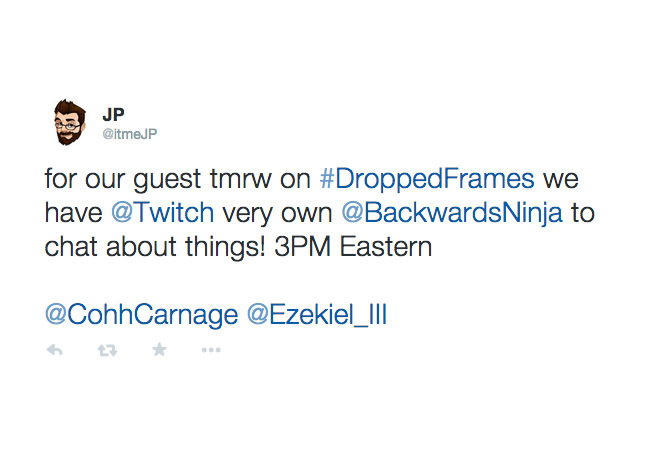 Tomorrow is another Dropped Frames episode that you will want to tune into. The special guest tomorrow will be Twitch’s Hassan Bokhari, Hassan is Twitch’s Partner Support, some might already follow Hassan on Twitter, or might know him better has his handle @BackwardsNinja. Dropped Frames will be live tomorrow at 3PM ET, if you didn’t watch last weeks episode with Omeed from the OP Group, its a must watch/listen.